There are times when you just need a big, beautiful HTML5 hero ad format - one that looks great and performs flawlessly across desktop and tablet. 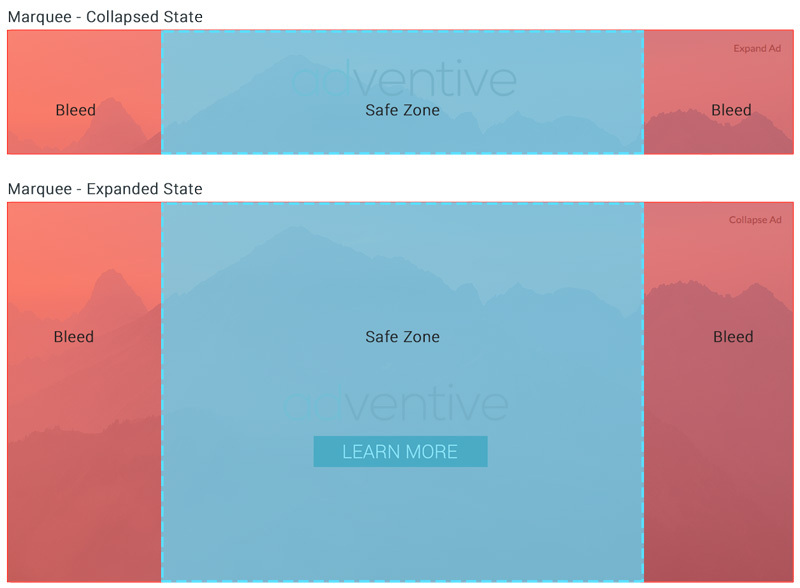 Adventive's newest HTML5 ad format does just that. Introducing the Marquee, a show-stopping, high-impact unit specifically designed for large format content. The Marquee allows you to build full screen units that 'bleed', with the middle of the unit acting as a 'safe area' for content. The Marquee also introduces adaptive expand and collapse buttons. The action buttons are anchored at the edge of the viewable screen and automatically shift according to screen size.